As much as I enjoy urban life, there are times when it gets to me. The noise, traffic, crime, and cost of living occasionally make me long for a quiet, affordable home out in the middle of nowhere. At times like these, I like to browse the real estate listings online. I don’t have the means to purchase a rural getaway, but just looking at the ads and daydreaming about them for an hour or two usually puts me in a better mood. I imagine how nice it would be to live on an island somewhere. Or perhaps on a small ranch in New Mexico. Or in a waterfront cottage in Oregon. Maybe even that little cabin in the mountains of central Costa Rica. 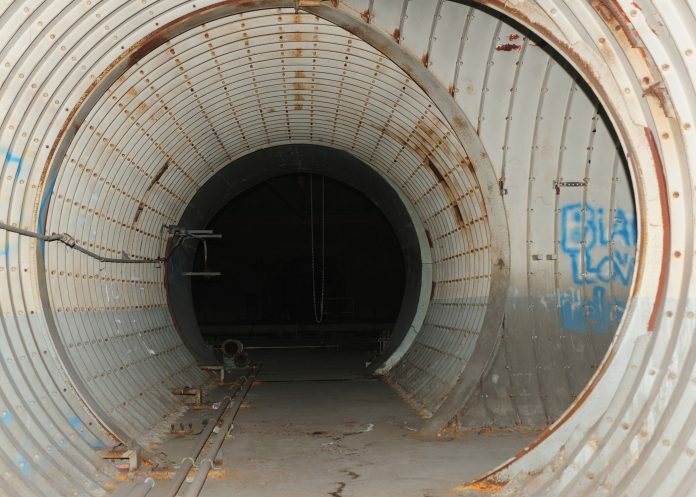 Or wait—what’s this?—an abandoned underground missile base? Incredible but true. Looks a bit unusual, sure, but think of those high ceilings, the nicely insulated walls, the privacy. And for the highest bidder, it can become home. I’m not even talking about just one particular abandoned missile base. That would be a curiosity, but little more. In fact, however, there are dozens of missile silos (and other missile sites) that have been—or soon will be—renovated for use as private homes, schools, businesses, and other non-military applications. At any given time, astute shoppers can find several such properties on the market in various parts of the United States. Where Have All the Missiles Gone? Back in the late 1950s and early 1960s, the conventional wisdom of the Cold War held that the United States could come under nuclear attack by the Soviets at any time. Although there was no way to stop incoming missiles, we could certainly return the favor by launching our own missiles to wipe out vast portions of our enemy’s country. And so, the argument went, the very fact that any attack (even if successful) would also mean certain destruction of the attacker should serve as a powerful deterrent—the more missiles we build, the less chance we’ll need to use them! Thus, in the time-honored tradition of spending vast sums of money on absurdly illogical military projects, the United States government built nuclear-capable Atlas and Titan intercontinental ballistic missiles and Nike surface-to-air missiles—and planted them in hundreds of hardened underground launch facilities scattered around the country. A typical missile silo cost more than US$3 million to construct in 1960. However, almost as soon as many of these structures were built, they were obsolete, as newer, smaller, and equally unnecessary mobile missiles were put into service. So within a few years the military decommissioned and abandoned most of the missile silos—and then sold the properties for whatever they could get. Many of the sites simply lay unused and deteriorating for years. But in the last couple of decades or so, there’s been a surge of interest in rehabilitating the sites, which are increasingly treated as collectors’ items of sorts. Prices have ranged from well under $100,000 for a fixer-upper bargain to tens of millions of dollars for a luxurious estate—complete with a private runway. Even at those prices, buyers get a great deal, considering how much it would cost to build something comparable today. Some people may find the thought of living in a missile silo a bit off-putting—for aesthetic reasons or due to the sheer creepiness of the idea. For others, however, recycling these structures as houses makes perfect ecological and financial sense. For one thing, like all underground homes, missile silos are extremely energy-efficient, maintaining a fairly consistent temperature year-round regardless of the weather outside. They’re impervious to tornadoes, and having been designed to withstand a nuclear blast, they’re also quite safe in the event of an earthquake. The reinforced concrete shell, of course, never rots and cannot be harmed by termites or other pests. And you don’t even have to think twice about safety from burglars or intruders—these structures can keep out nearly everything and everyone. In short, for people who can deal with the odd geometry and remote locations, missile silos are among the sturdiest and most secure residences anyone can have. Security is of course the major attraction for one group of buyers: survivalists. Some “prepper” owners equip their silo homes with years’ worth of rations, isolated water supplies, gas-powered generators, and high-tech air filters so that they could live through virtually any sort of disaster—even a catastrophic attack or plague that wiped out everything alive on the surface. Personally, I wouldn’t be terribly concerned that terrorists might unleash mass destruction on a rural community with no strategic or political significance. Then again, I live pretty dangerously—some days I don’t even floss. Silos are not without their problems. The interior receives little or no natural light (unless, for example, you replace the gigantic hatches and doors with skylights). Your cell phone and radio probably won’t work inside. Utilities (especially sewer) can be complicated. And you’ll have to spend an enormous amount of money to make the silo habitable if someone else hasn’t already done so. (One major complication: some of the silos filled with water over the years, becoming in effect giant wells.) Still, once you’ve cleaned the place up, added a coat of paint, and performed a ritual cleansing ceremony to banish violent spirits (it’s been done—no kidding), you’ve got yourself a huge, safe, quiet, and comfy living space. Now your only problem will be dealing with the most notorious intruders of them all: tourists. Note: This is an updated version of an article that originally appeared on Interesting Thing of the Day on August 20, 2004.